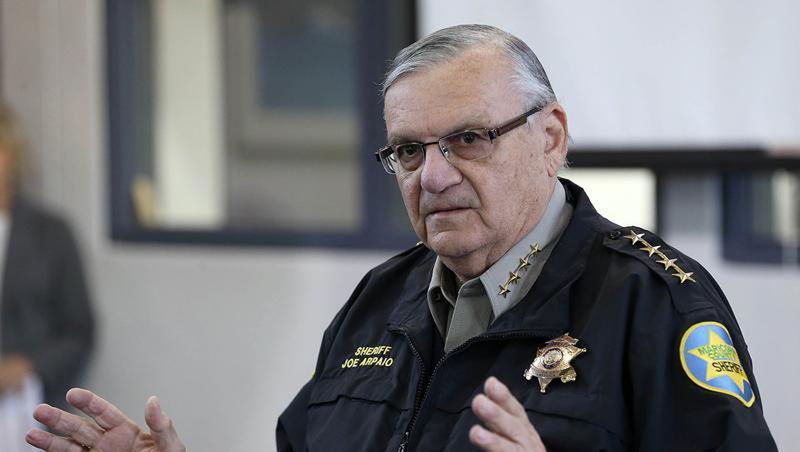 PHOENIX - Dozens of inmates in Arizona jails run by Joe Arpaio, a sheriff who has been a controversial figure in the national immigration debate, have been put on a diet of bread and water for desecrating U.S. flags that hang in each cell, authorities said on Friday. Arpaio, a Maricopa County lawman who has been called "America's toughest sheriff," said 38 inmates were currently getting these meals twice a day as punishment for destroying government property while in custody at six jails. "These inmates have destroyed the American flag that was placed in their cells. Tearing them, writing on them, stepping on them, throwing them in the toilet, trash or wherever they feel," Arpaio said in a statement. "It's a disgrace to those who have fought for our country." The punishment will last for seven days, he said, and a second offense would bring 10 more days of the sparse diet. A sheriff's spokesman said the bread provides the daily requirement of calories and nutrients that is necessary. There are about 8,300 inmates in the jail system. In recent months, the Maricopa County jails have broadcast patriotic songs over the public address systems - "The Star Spangled Banner" in the morning and "God Bless America" at night. Arpaio, a six-term sheriff, has come under increased scrutiny and criticism in recent years for his actions, including a hard-line stance on immigration. Last week, a court monitor was appointed to oversee operations at his office after a federal judge found in May that Arpaio's deputies had racially profiled Latino drivers. That ruling came in response to a lawsuit that tested whether police could target unauthorized immigrants without profiling U.S. citizens and legal residents of Hispanic origin. Dan Pochoda, legal director for the American Civil Liberties Union in Arizona, called the move a "publicity stunt." "It's certainly not illegal, but what he is doing is bad policy," Pochoda said. "It's just another vindictive policy that has nothing to do with running a good jail system." The sheriff, who is facing a lawsuit and investigation from the U.S. Justice Department accusing him of civil rights abuses, strongly denies that he or his officers profile Latinos. Under a portion of a controversial Arizona immigration law that was upheld by the U.S. Supreme Court, police in the state may ask people they stop about their immigration status.